The Archcathedral Basilica of St. Peter and St. Paul in Poznan, Poland is one of the oldest – dating from the 10th century. One reason Middle Age architects designed such grand and tall buildings was for people to feel the magnitude of God and in comparison the smallness of oneself. The idea was to put man in proper perspective to God. The basilica certainly proves the point. 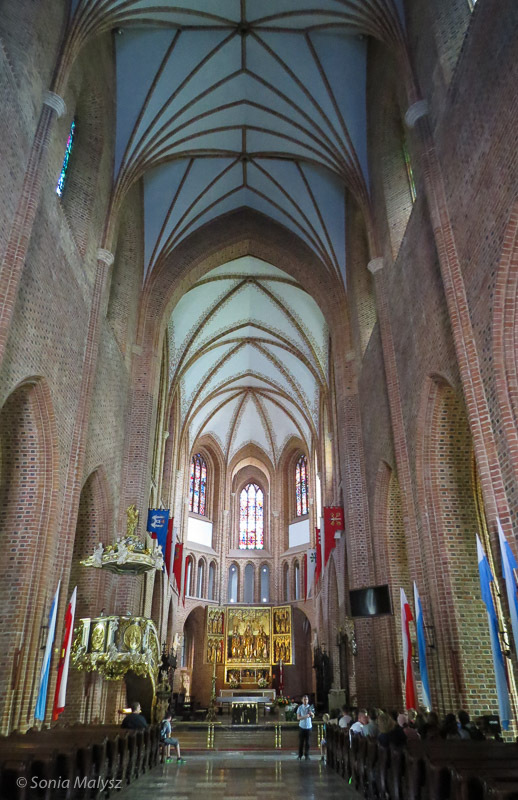 To feel all that one was intended to experience you would have to travel to Poznan and sit in contemplation in this church. I did the travelling for you and today I would like to give you a taste of it. I love gothic architecture: the rough brick, the vaulted ceilings, the towering walls, the absolutely gorgeous stained glass windows. 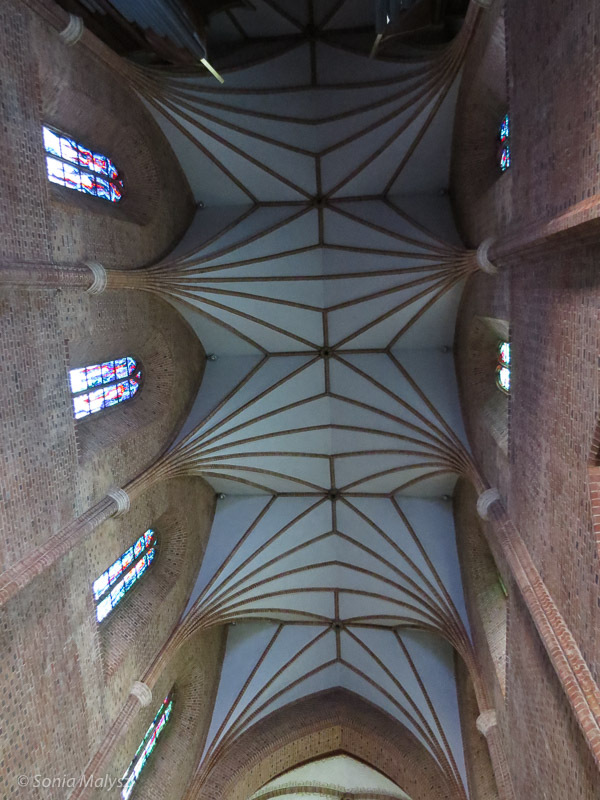 What impressed me most in this church is the ceiling – almost blue in color and resembling a draped cloth. Poznan is such a great town. We spent 2 months there last year. Really loved it!